This tutorial explains you about the basics of Ansible Inventory, at the end of this tutorial you will be able to understand What is Ansible Inventory, how to change or create a new inventory rather than using the default inventory, how to define the hosts and host groups. Ansible is an automation tool which works for multiple systems in a infrastructure at the same time. So we should have system lists to manage it. we call that as a inventory. Ansible inventory file has the list of all managed host names one line per host. 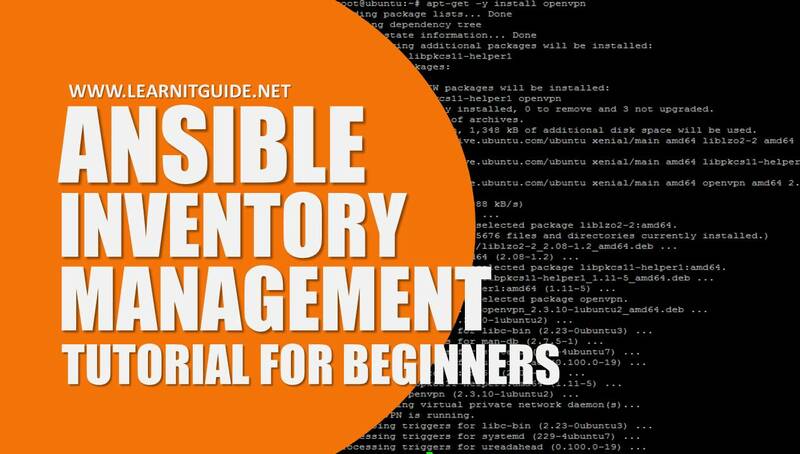 Inventory management is also important factor in Ansible. Note : You can define your host names in ipaddress or hostname or fqdn. By default, this ansible host inventory file is located under /etc/ansible/hosts. Hence if you run a Ansible Playbook or Ansible Ad-hoc commands, that will look the hosts groups under the default file. You can specify a different inventory file using the "-i <path>" option on the command line as shown below. You can declare the different groups in single host inventory file. For example, If you have database and web servers, then we can declare the list of server names under each groups. Also, you can simplify the decalarion more, if you have similar hostname starts with same characters. Either in alphabetic format or numeric format. Note : A host can be in more than one group. By default, Ansible works on SSH port number 22. if you have different port to connect the hosts, then define the hosts as below. As shown above, some of the ansible parameters mentioned below can be used on need and these are commonly used parameters. You can get more parameters from ansible.org. Connection type to the host. This can be the name of any of ansible’s connection plugins. SSH protocol types are smart, ssh or paramiko. The default is smart. More topics will be added soon. stay connected with us on social dashboard sites.